Hi everyone! 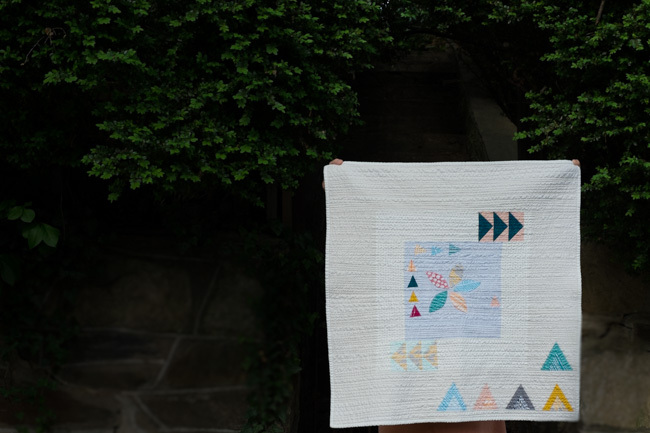 I know it has been a long time since I've posted here but I just wanted to pop in to let you know about a wonderful new quilting book by Casey York (and tell you a little bit about my quilt that is in the book.) 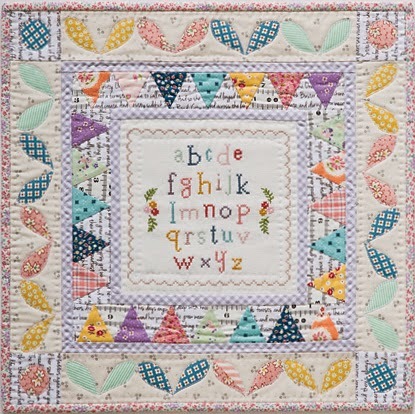 The Applique Book is all about - you guessed it - applique! 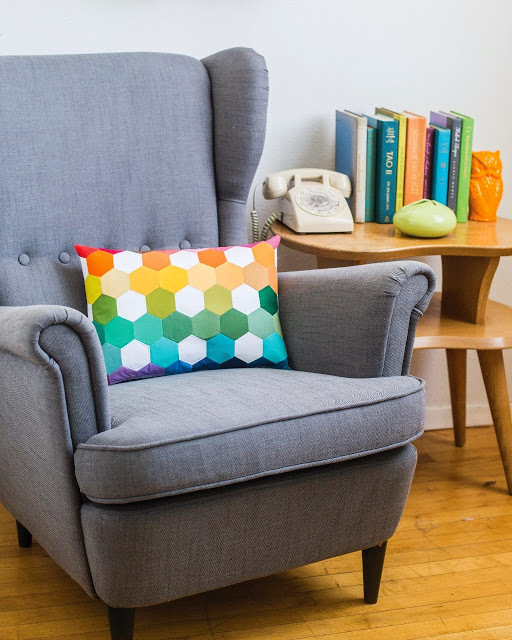 It includes projects, techniques, and tips for several different applique methods including raw-edge, turned-edge, reverse, bias-tape, and free-form applique. 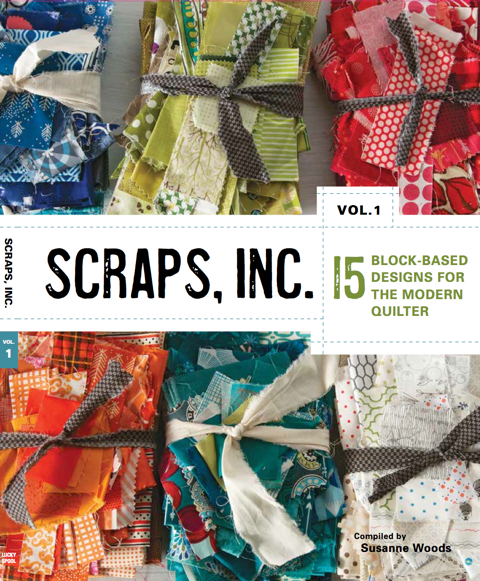 In addition to the 16 projects in the book, Casey includes informative profiles of several modern quilters. 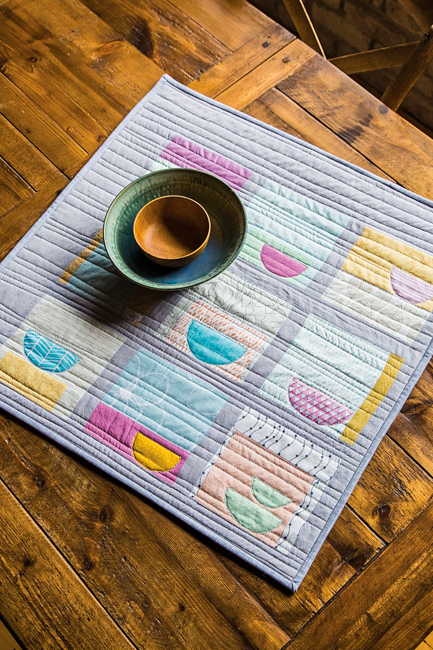 My quilt is Bowls and falls under the free-form applique section. 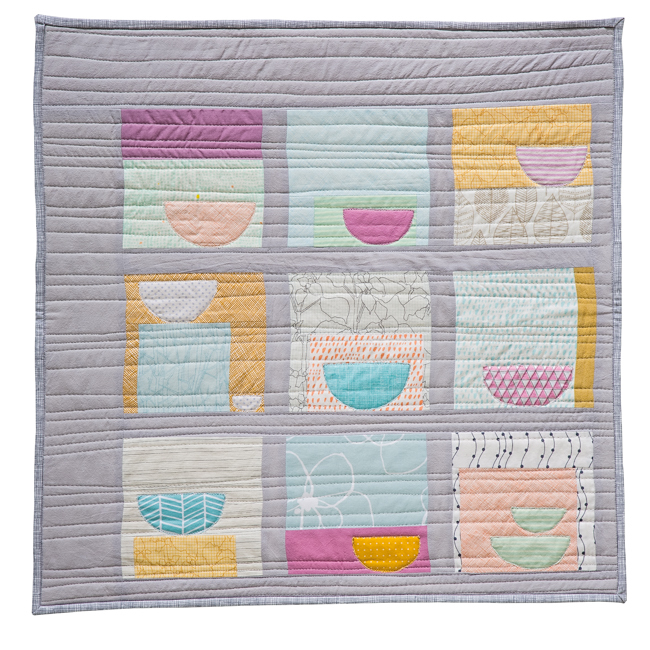 I made a mini-quilt but it could easily be resized to a full size quilt. I combined improv piecing with raw-edge applique to create a design that is easy and (hopefully) fun to make. To learn more about The Applique Book and to see the other projects in the book, follow along with the blog tour. 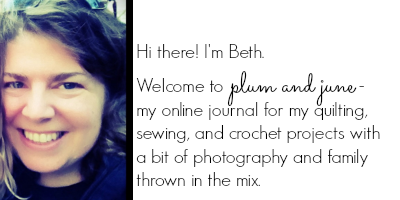 A little over 3 years ago, right about when I started this blog, I met a very nice woman who was also a new quilt blogger named Heidi Staples. To this day, Heidi remains one of my quilty/blogging BFF's - we talk often and despite the fact that we live on opposite coasts, we were even able to meet in person a couple of years ago when I was on the west coast for a few days. 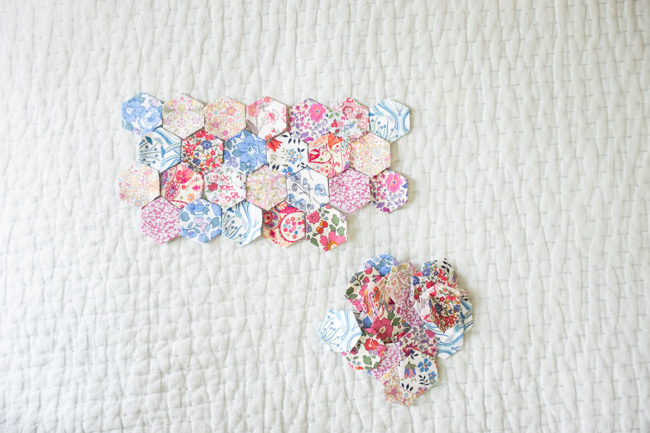 I haven't been sewing much recently but after seeing the dotty hexagon pillow in Heidi's book, I now know what I want to make with these epp hexagons I made, um, possibly two years ago, um, maybe, hm, could they have been sitting around unused that long, hmm. Anyway, the pillow is the perfect project for using these. I think I need to make a few more for variety but eventually . . . I definitely recommend that you take a look at Heidi's book. I've always loved how she mixes vintage with modern with classic in all her projects and her style comes through on every page of this book. 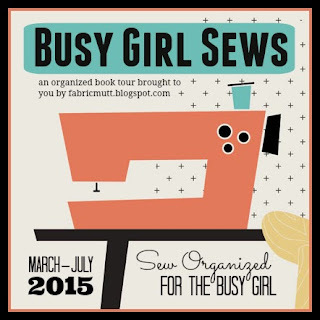 If you want to read more about Sew Organized for the Busy Girl and see more of the projects, here is the list of blogger's participating in her blog hop. 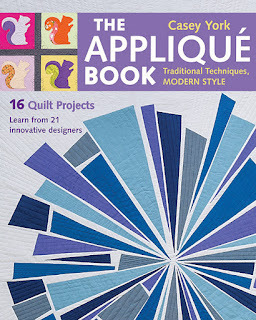 So, if you have read any of my recent posts, you probably know that I co-authored a book about medallion quilts (by the way, there is a giveaway still open until tomorrow night to win a copy of the book in this post.) In the book, I write a little bit about how the book came to be and how I became interested in medallion quilts. I really enjoy improv piecing, little planning, and designs with lots of room for error (especially for those days when I don't feel like being friends with the scant 1/4" seam) and the medallion quilts I have made (so far) incorporate those. 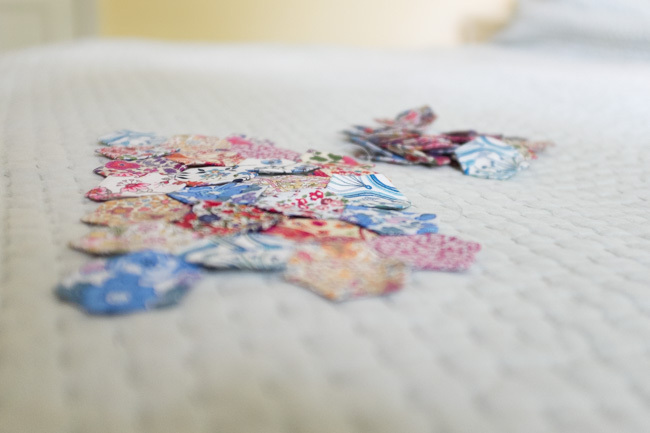 I made two medallion quilts while Janice and I were writing the book; the pattern in the book is for the other quilt (though there is a photo in there of this one.) 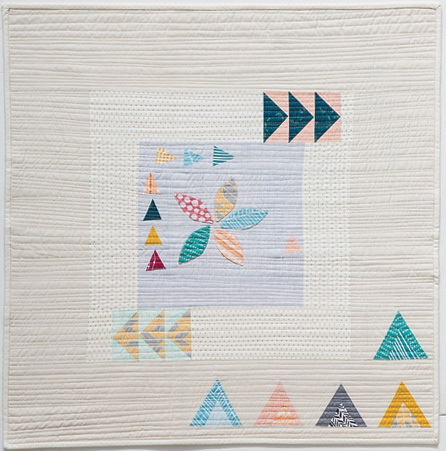 I used the same triangle design in this quilt as in the quilt for the book and used negative space in a similar way. The big difference is the center - for this I freehand cut petal shapes and appliqued them to the background. I usually prefer raw edge applique but these are finished edge and hand-stitched. And then I made two rows of precise flying geese. 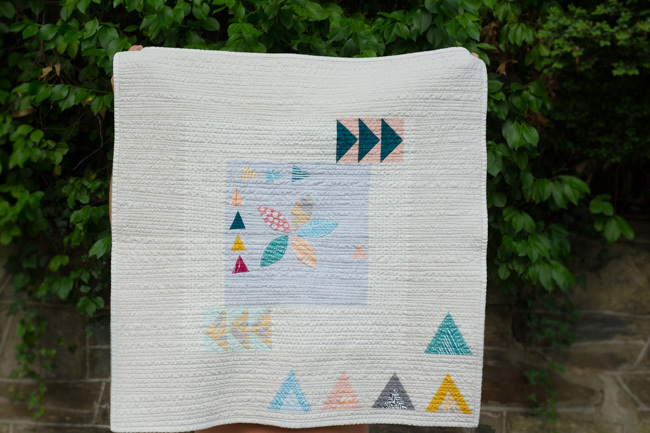 I finished the quilt with matchstick quilting - I'm not sure that was my original plan but I just kept adding more lines and before I knew it . . . I washed the quilt before taking these photos today and wow, it crinkled in the dryer! I should have taken a photo before putting in the wash but oops! 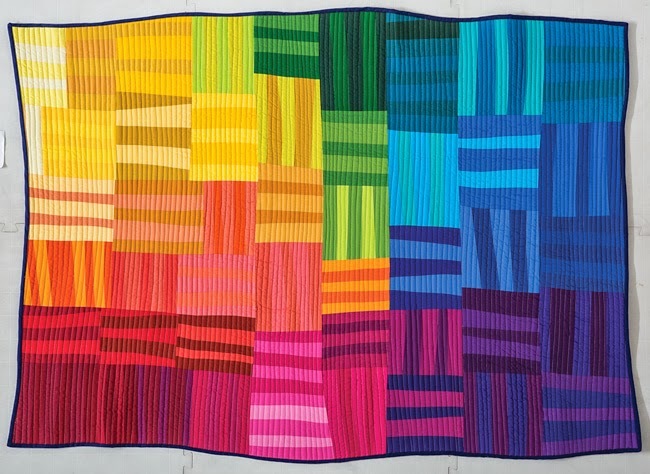 Here is the photo from the book of the quilt in its pre-crinkle state. 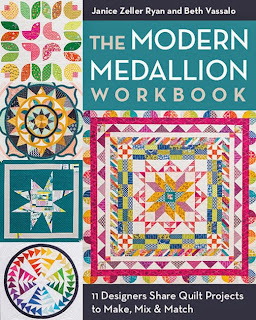 The book is The Modern Medallion Workbook and you can read more about it in my previous post and you'll find the links to the blog tour so you can see the other quilts from the book (and there is a giveaway in that post that ends tomorrow (Friday) so there is still time to enter.) *to enter the giveaway, you need to click on the link to the previous post. When I started this blog three years ago, I never thought that I would be writing a post about a book that lists me as one of the authors. And I never could have imagined when I met Janice soon after I started blogging, that we would one year later be taking on this project together. 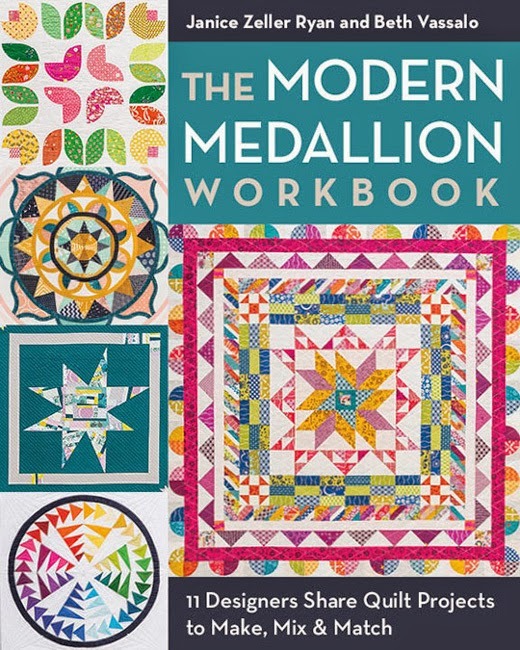 But 1,000,000 texts, emails, and phone calls later plus the quilts of 9 awesome contributors, our book, The Modern Medallion Workbook, is here. - the book contains a special techniques section with detailed instructions for paper piecing, piecing curves, and piecing flying geese. 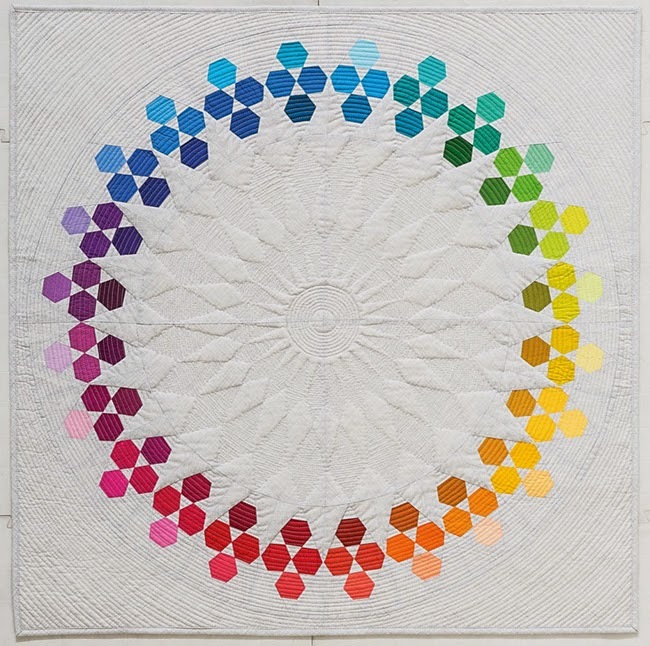 - the book provides information on designing your own unique medallion quilt; there are instructions on how to measure and determine block size to mix and match the included borders and centers to create your own layout. 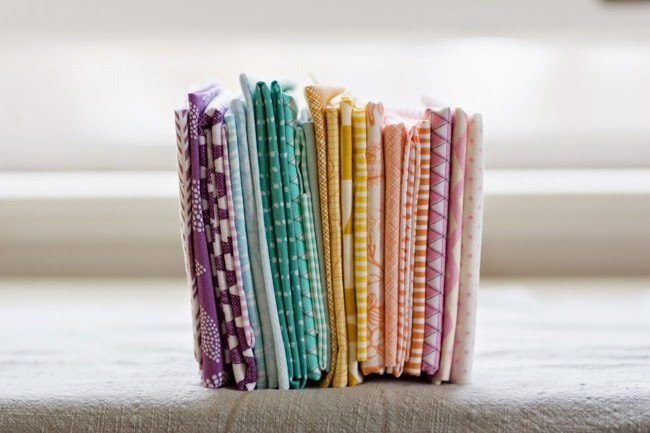 -the book also contains ideas for mixing and matching the borders and centers as well as ideas for making "non-medallion" quilts using just the borders or the centers. This is the June Medallion, my contribution to the book (can you guess where I got the name?) It is pieced improvisationally with lots of negative space. I also decided to treat the binding as one of the borders and pieced together small pieces of many of the fabrics from the quilt to make it. 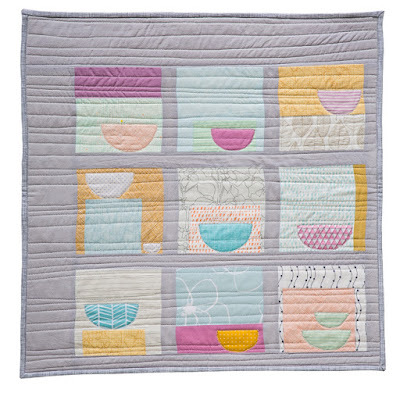 You can see more about these quilts and the quilts from the other contributors by clicking on their blog names below. 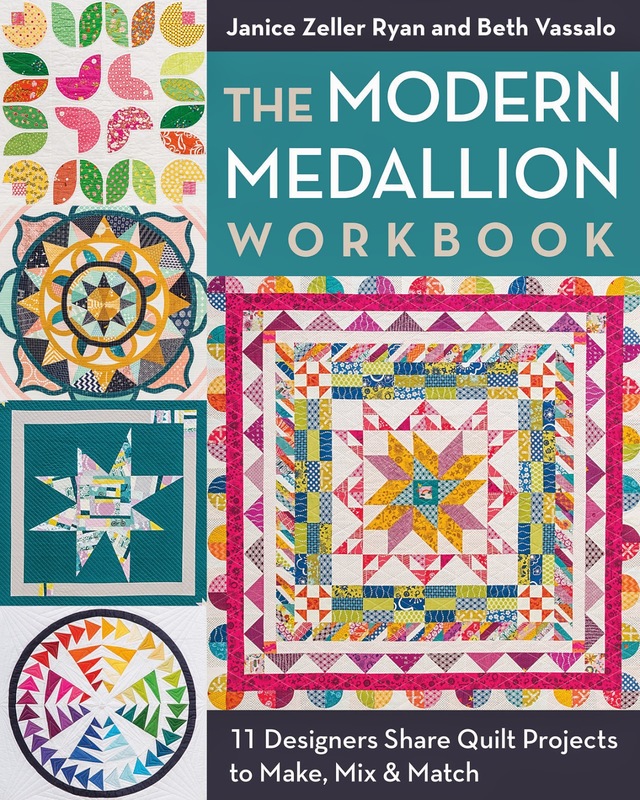 Our publisher, C&T/Stash, is giving away a copy of The Modern Medallion Workbook to one lucky winner (hard copy if the winner is in the U.S., digital copy for all others.) To enter just leave a comment on this post. The giveaway is open until May 29th at 8pm ET and a winner will be chosen at random. 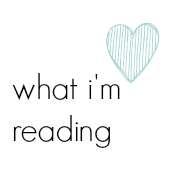 There are also giveaways for the book still open on some of the blogs listed above. The giveaway is now closed. Thanks to everyone who entered. The winner is #62: Marci who said "I really really really would love to win a copy of this gorgeous book!" I'll be posting more about this book,The Modern Medallion Workbook: 11 Quilt Projects to Make, Mix & Match , that I co-authored with Janice from better off thread next week but I just wanted to let you know that the publisher, C&T/Stash, is having giveaways for copies of the book on the contributor's blogs (hard copy for U.S., digital copies for everywhere else.) The giveaways that are currently open are listed below; I'll update with the full schedule on Monday. I'm excited to share more about the book next week - it wasn't easy keeping this "secret" for the past 1 1/2 years. 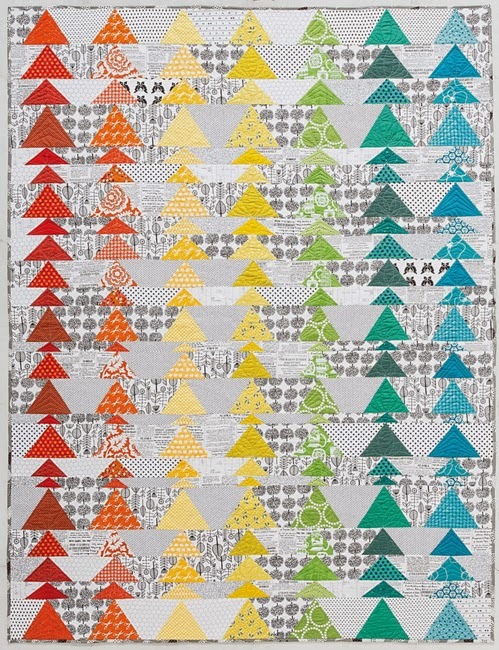 The contributor's quilts are gorgeous and really range in both style and complexity. 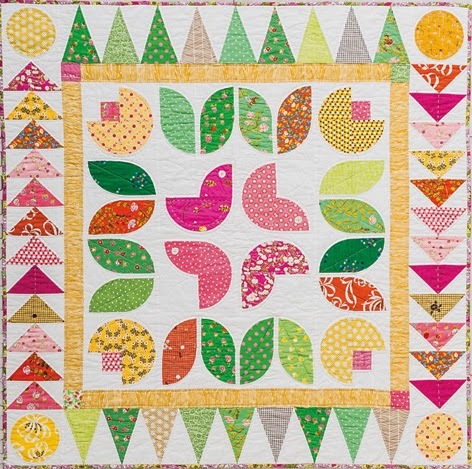 Plus, in addition to the 11 quilt patterns, the workbook includes full coloring pages (line drawings) of each quilt to help you plan your version and detailed technical instruction for some of the more commonly used techniques in the patterns such as flying geese, paper piecing, and curves. 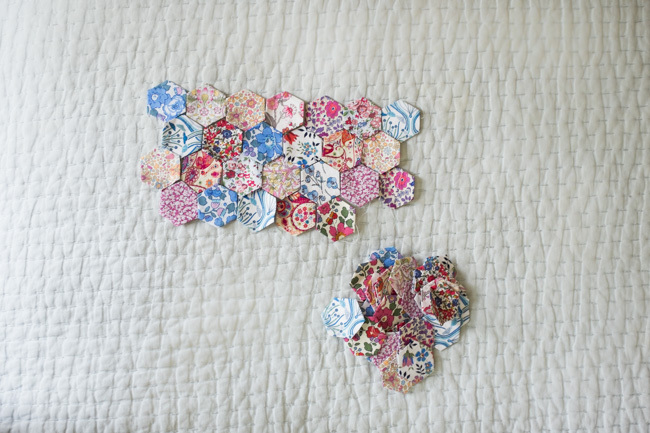 But I think one of my favorite parts of this book is the chapter on how to use the patterns and techniques in the book to design your own unique medallion quilt. 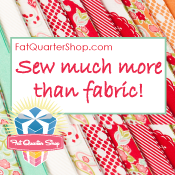 Well, I'll tell you more about it in my post on Monday -- plus by then the contributor's will have each shared more about their quilts so I'll be sure to include links to their posts so you can learn more about their process. 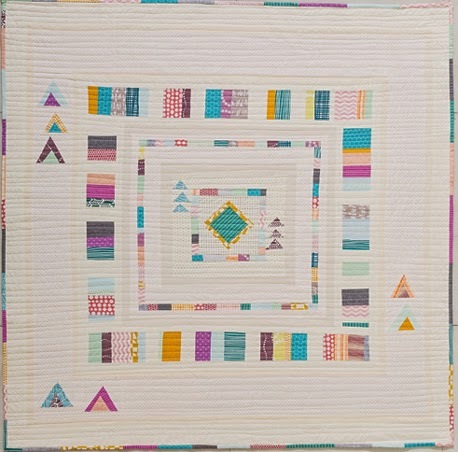 plus instruction on how to design your own unique medallion quilt by mixing and matching the centers and borders from the book (including how to figure out how to size the blocks) and a section on advanced techniques commonly used for medallions including paper piecing, flying geese, piecing curves, and more. are listing it as in stock April 25, 2015 so yay! 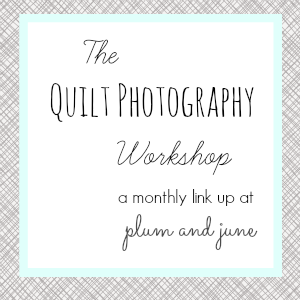 And if you want to see some sneak peaks of the quilt, follow me on instagram (plumandjune) - we've been sharing some of the quilts over there. And I'll be sharing more about the book on here soon. I've been loving all of the projects that have been made for the book's blog hop. You can see the full list at the bottom of this post. I, unfortunately, haven't made a project from the book yet but that doesn't mean I haven't been thinking about which fabric I would use. 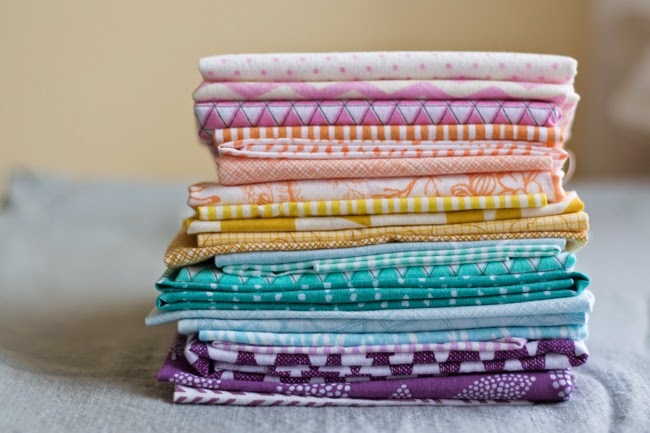 If you are familiar with my blog, you probably know that I don't use too many bold colors but I looked through my fabric stash to come up with my own version of a modern rainbow palette. 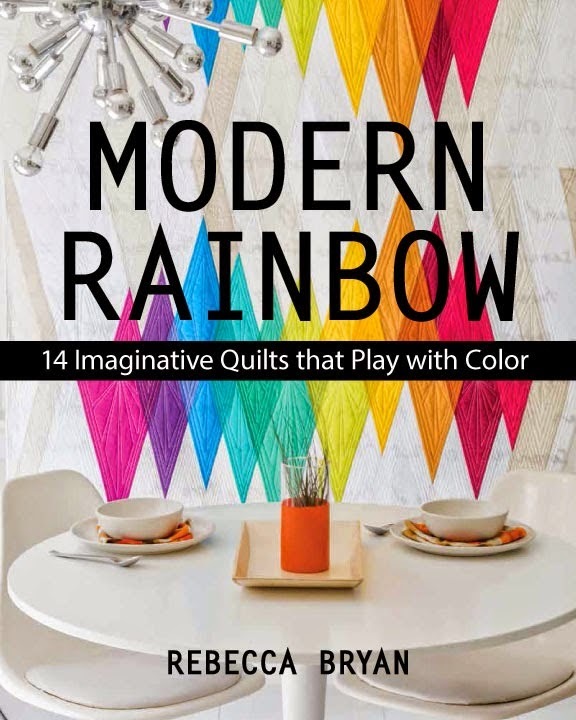 Becca and C&T publishing are offering a copy of Modern Rainbow to one lucky reader. If you are interested in winning a copy (hard copy if you are in the U.S., digital copy for all others), just leave a comment below. The giveaway will remain open until April 10th at 10pm ET and a winner will be chosen at random and notified by email. The giveaway is now closed. The winner will be announced soon. Thanks to everyone who entered.